How’s it going Sand Gnat fans? 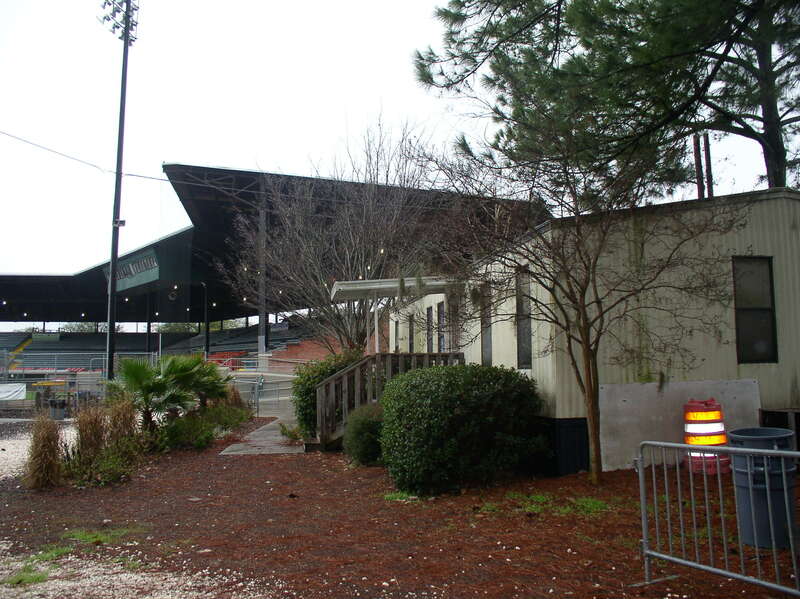 For those of you that don’t know, your Savannah Sand Gnats staff work from the stadium. Right here at the ballpark! Sound pretty cool huh? We’re housed in the small trailer on the 3rd baseline. We work all year long Monday through Friday 9am-5pm, even when the team is out of season or on the road! But anyway I’m writing to you from the big back room of the trailer. Today, Thursday, June 5th, it is currently about 95 degrees outside and around 115 degrees in the back room of the trailer. Unfortunately our AC broke on Monday and our office has become a hot box! Luckily the City of Savannah workers have come to our rescue and are fixing the situation as we speak!! So our staff is really looking forward to tomorrow when the AC will be up and running again! We’re also looking forward to tomorrow because it starts another homestand!! The boys are back in Savannah tomorrow night and we’re ready! Tomorrow night kicks off with Bloomingdale Community Night presented by the MPC and we also have the Savannah High School Class of ’63 Reunion! Postgame you will be in awe of our outstanding fireworks show! Here’s a glimpse of what’s going on this week! Saturday, June 7: 7:00pm vs Charleston RiverDogs: First Chatham Bank Night with free koozies to the first 500 fans! And Gnate’s 4th Birthday Bash! Come celebrate with us and Gnate’s friends from the community such as Gus from GSU, Sporty, Truman from Kidsville, and more! Sunday, June 8: 2:00pm vs Charleston RiverDogs: It’s Kid’s Sunday presented by CW 13 and BIG 98.3! Kid’s its all about you at Grayson Stadium! Come cheer on the Gnats then race around the bases AND get your favorite players autographs after the game! SSGnats3.epsMonday, June 9: 7:00pm vs Columbus Catfish: Fans it’s MySpace Monday! For all of you out there we want to become cyber friends! Visit our MySpace page at http://www.myspace.com/savsandgnats! Request our friendship, print it out, and you will receive a half off general admission ticket to the game!